The answer to ‘can I sow Cornflowers in Autumn?’ is a pretty resounding yes, unless you live in the Baltic far north. I tend to sow two batches of cornflower seeds, one in September and one in April. The autumn sown seeds will make much bigger plants that will flower earlier in the year….and the spring sown ones will produce smaller plants but that will flower much later into the season. Cornflowers are always loved by those who grow them for the first time and they are super easy to grow from seed. 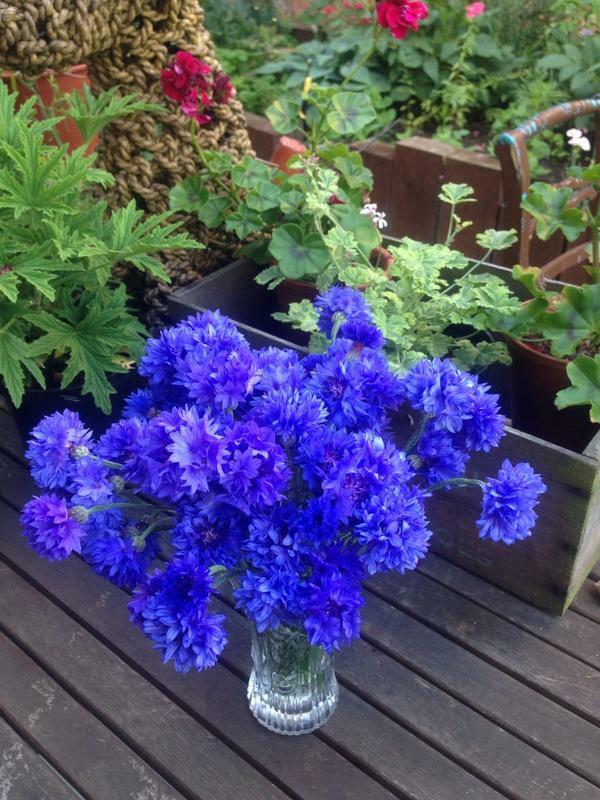 Lovely photo from Kathy (X)…Black Ball cornflowers looking amazing amongst the rest of the fab flowers. *Either sow in pots or sow directly outside where you want them to flower. *I sow in three straight lines a foot apart. *Don’t bury the seeds too deep…just give them a light covering. *Make sure the bed is weed free. ‘Classic Romantic’ grown by @CathyStGermans. This is a very underrated flower. *Don’t fertilise the bed…Cornflowers, like most annuals are happy in poor soils. *If you are making an autumn sowing then don’t thin out your seedlings until the spring…and thin them to about a foot apart. *Once they start flowering….then keep on pickin’ ’em…if you let them ‘go over’…they will stop producing flowers. Naturally you lucky people can buy these wonderful seeds in the Higgledy Garden Shop and you will also find a mighty ‘Seeds to sow in Autumn Collection’ which is well worth a gander. 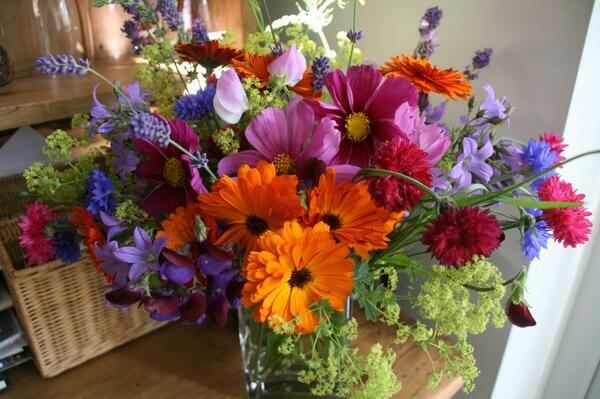 Sowing hardy annuals seeds in autumn is well worth it…earlier flowers the following spring are nothing short of a joy. I hope you are all having a swimmingly good weekend. The Photo Comp…update. 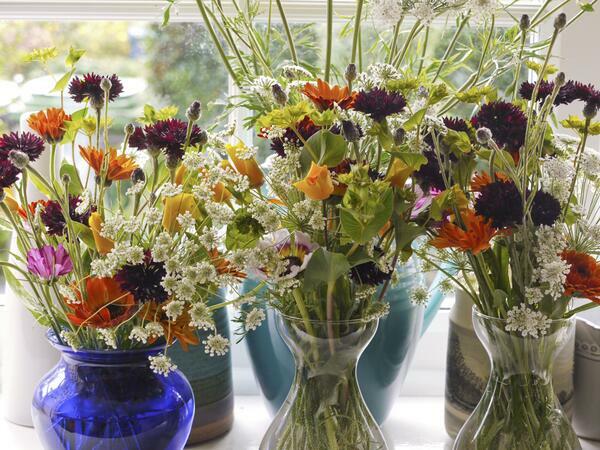 The Best Flowers To Sow In Autumn. I also grew my first Corny’s (Blue Boy) this year and indeed I’m very impressed by them. Not phased with the terrible soil they’re in at all. Only disappointment was I didn’t buy more and the slug I stood on out in my bare feet dead-heading. 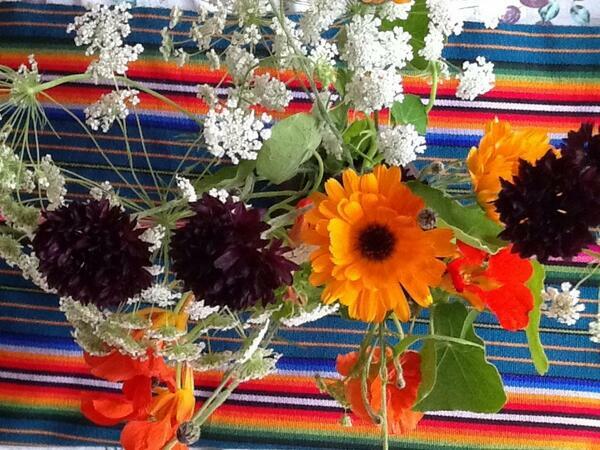 I love this, I grew my first ever cornflowers this year. But, what does ‘go over’ mean? 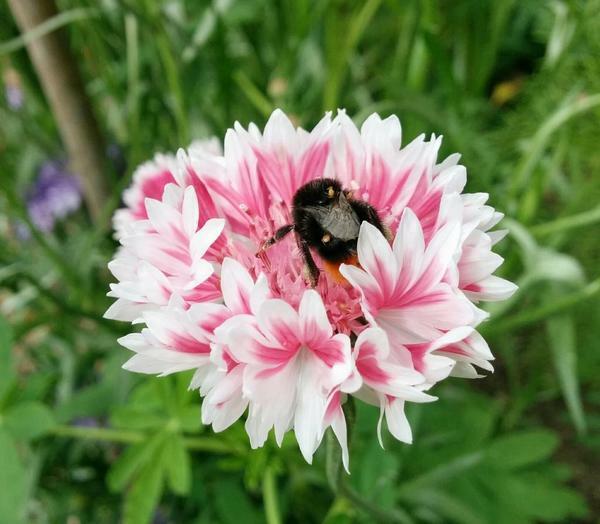 ‘go over’ means…’past their best’ or dying…generally ‘Blue Ball’ cornflowers will start to fade to a pale blue….keep picking them or dead heading them and they will last MUCH longer.